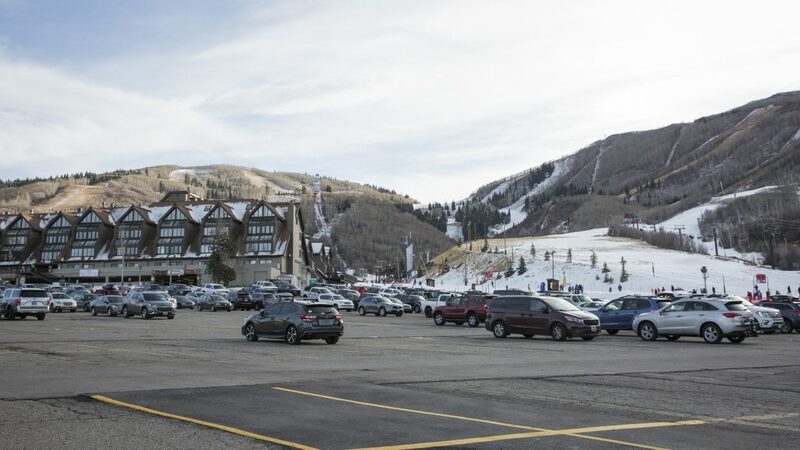 The Park City Police Department last week conducted a series of traffic patrols that netted drivers in clusters, including two concentrations of stops over the weekend. Some of the locations that were targeted during the patrols included the intersection of Kearns Boulevard and Comstock Drive as well as Park Avenue. The string of traffic stops on Sunday, Nov. 9 started in the 7 a.m. hour and lasted until a little bit after 11 a.m. At least 13 drivers were stopped between 7:28 a.m. and 11:13 a.m. 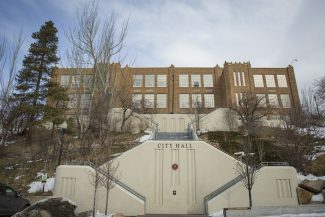 The police pulled them over in locations like the Kearns Boulevard-Comstock Drive intersection, the intersection of Marsac and Hillside avenues as well as Park Avenue. Other locations included the intersection of S.R. 248 and Round Valley Drive and the intersection of Park Avenue and Snow Creek Drive. There was another string during the evening and nighttime hours on Saturday, Nov. 8, starting at a little before 7:30 p.m. and ending approximately four hours later. The traffic stops were made at locations like the intersection of Kearns Boulevard and Comstock Drive, Bonanza Drive and Park Avenue. On Sunday, Nov. 9 at 6:11 a.m., someone on Aerie Drive reported a dog barking continuously. At 3:34 a.m., the police were called to Sidewinder Drive, where a woman was reported to be running through the hallways of a building. She was "causing issues," the police were told. The Police Department classified the case as disorderly conduct. At 1:24 a.m., an unspecified disorderly conduct case was reported on Main Street. Public police logs did not provide details. 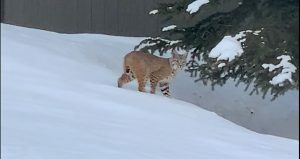 The police at 1:06 a.m. were called to Three Kings Court, where a person reported hearing voices on the nearby Park City Golf Club course. The voices were near the house, the police were told. The Police Department indicated the circumstances were suspicious. Loud music was reported somewhere along Kearns Boulevard at 12:04 a.m. The music was turned off and the party was over after the police responded. The police classified the case as disorderly conduct. On Saturday, Nov. 8 at 3 p.m., a criminal mischief case was reported on Homestake Road. Public police logs did not provide details. An abandoned vehicle was reported in the vicinity of the intersection of Deer Valley Drive and Aerie Drive at 1:43 a.m. It had been parked there for a few days, the police were told. 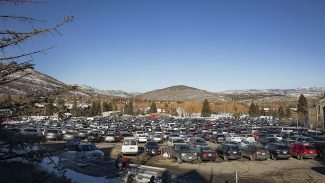 A hit-and-run traffic accident was reported outside the Park City Ice Arena at 11:09 a.m. A witness saw the accident, the police said. At 1:17 a.m., staffers at a nightclub on Main Street contacted the police for assistance with someone inside. The person was acting in a disorderly fashion, the police were told. On Friday, Nov. 7 at 11:46 p.m., a loud party was reported somewhere along Empire Avenue. At 11:13 p.m., three people were reported to be playing music with a guitar and a drum along Main Street. The police indicated the situation was an issue for City Hall’s code enforcers. A purse was reportedly stolen somewhere along Main Street at 7:58 p.m.
An officer stopped a driver along Lucky John Drive at 7:01 p.m. for an unspecified reason and learned that the driver was lost. The driver wanted to head to Salt Lake City. The officer had the driver follow the police vehicle to S.R. 224 in the direction of Salt Lake City. A man reported being punched in the face in a parking lot along Main Street at 6:29 p.m.
A motor home was left parked somewhere along Lucky John Drive for approximately a month. The police received the report at 10:19 a.m. The police were told the vehicle could impede snowplows. An elk carcass was seen on the side of S.R. 224 at 8:28 a.m. A state wildlife officer was summoned to remove the dead animal. Earlier that morning, at 1:41 a.m., the police received a report that a driver had hit a moose or deer on S.R. 224. There were animal parts in the road, the police were told. A vehicle was parked nearby that might have hit the animal, according to police logs. It was not clear from the logs whether the animal involved in the two cases was the same one. On Thursday, Nov. 6 at 6:22 p.m., a roll of carpet was seen in the road in the vicinity of the intersection of Park Avenue and Snow Creek Drive. A police officer removed the carpet. On Wednesday, Nov. 5 at 10:17 p.m., a man was reportedly seen stumbling at or close to the intersection of S.R. 224 and Meadows Drive. The person was on the shoulder of the road on the southbound side. The person who contacted the police was concerned the man would stumble into traffic. 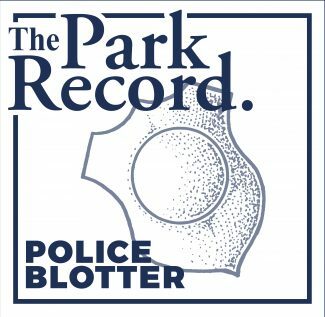 An assault was reported on Snow Creek Drive at 7:18 p.m. Public police logs did not provide details. A little bit earlier, at 6:58 p.m., a person was reported to be loud and belligerent in a restaurant on Snow Creek Drive. The person was vulgar and threatened to assault a person after being asked to quiet down, the police were told. It was not clear from public police logs whether the two cases were connected. On Tuesday, Nov. 4 at 1:19 p.m., a disturbing-the-peace case was reported on Swede Alley. Public police logs did not provide details. At 8:20 a.m., graffiti was apparently discovered in several places, including at the China Bridge garage and at the City Park skate park bathrooms. On Monday, Nov. 3 at 10:35 p.m., a traffic accident was reported on S.R. 248. It apparently involved two elk. A large piece of steel was removed from the road at the Old Town roundabout at 3:30 p.m. The police said the steel presented a traffic hazard. Someone on Claim Jumper Court reported mail was stolen from a mailbox on Oct. 7. The police were told others on the street were victimized as well.